Asger Jorn Flensted Mobile (FMASGER) at Pure Design / Accessories / Flensted Mobiles ::: Furniture for the Home, Office, Home Office, and More at Pure Design Online! Designed for the Museum Jorn in Denmark, these colorful characters are based on Asger Jorn's earlier work. 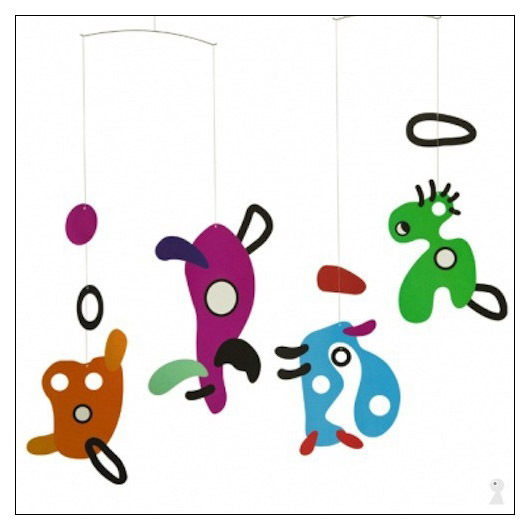 The quirky mobile expresses spontaneity, playfulness, and experimentation.